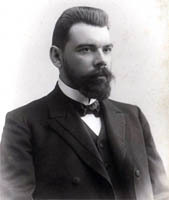 Alexander Fyodorovich Goedicke (Aleksandr Fyodorovich Gedike)- (4 March 1877 in Moscow – 9 July 1957 in Moscow) was a Russian composer and pianist. This entry was posted in Goedicke, Alexander Fyodorovich, Piano, Piece and tagged Alexander Goedicke, educational material, Music score, Piano, piece, Sheet music on 08.01.2019 by admin. This entry was posted in Etude, Goedicke, Alexander Fyodorovich, Piano and tagged Alexander Goedicke, educational material, etude, Music score, Piano, Sheet music on 29.12.2016 by admin.